Fashion designers are responsible for sketching new designs, conceptualizing the next big styles and combining some of the finest accessories of the world. A fashion designer spends most of his/her time meeting strict deadlines, spotting trends and predicting styles that will be in vogue for the upcoming season. Depending on the sector of the industry that one enters into, there are several different types of fashion designers taking care of the activities within the industry. Fashion designers in India are generally doing well and the category of work performed by them determines the type of fashion designer they will be recognized as. Keeping in mind the basics of fashion, there are three different types of fashion designers – shoes, apparels and accessories. There may be sub categories within, with expansive opportunities to explore, however at a broader level, these three are the categories that the industry focusses on. Apparel designers take care of clothing and costumes worn by individuals around the world –from street workers to the stars of Bollywood. Costume designers and experts working on this particular category of fashion are titled as ‘apparel designers’. The apparel category takes care of different audiences on the basis of which, they are further classified as – Haute couture, prêt-a-porter and mass market. 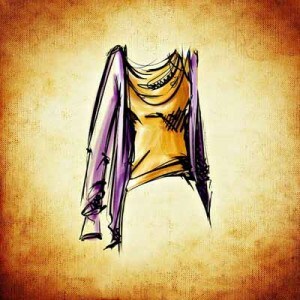 Apparel designed for the rich and wealthy are the responsibility of the haute couture fashion designer. Every customer is given individual attention according to their style, personality, taste and preferences. Such a fashion designer prefers to take one person at a time creating garments as per the exact measurements of the individual. Designs created for the mass market, with little effort reserved for the ideal cut, fabric and presentation of the client come under this category. They do not conceptualize for the entire population but for specific numbers. The responsibility of creating and predicting styles for the general population comes in the hands of these fashion designers. Their garments are manufactured in large quantities and made available for the open market. These apparels are generally available in standard sizes with multiple copies of the same design. Keeping in mind the large demand for such products, the opportunity to become a mass market fashion designer is the most lucrative at the moment. Every individual wears shoes or footwear. Some prefer to match them with the color of their outfit while the others sync it with the style. Footwear designers are involved in creating the different types of footwear – athletic, casual, formal, party wear etc. They may also be categorized on the same lines as apparel fashion designers. Accessories include jewellery, bags and all other items that do not come under apparel. Designers of this field indulge in creating beautiful pieces of necklaces, bracelets, hand bags, scarves, belts and other items used for accessorizing. Fashion designing courses create a foundation for you to enter into the industry, but the sector you choose entirely depends on your skills, intellect, expertise and passion.